This article will provide traders with a brief guide to short-term Forex trading strategies. It will look at what short-term trading is, the different types of short-term trading strategies used within short periods, and how to choose the right short-term trading strategy for you! As you step out into the world of Forex trading, you may sometimes feel sensory overload. 'How do I open and manage an account?' 'What are technical indicators?' 'How do I trade with oscillators?' These are only a few of the questions that every Forex newcomer asks. However, one of the most common questions is which Forex trading strategy to choose. Many beginners make the mistake of following pre-existing strategies that other traders use. They think that by simply copying a successful strategy, they can reliably emulate the results. However, what works for one trader, may not work for another. If you want to become a successful Forex trader, you need to develop a Forex strategy that suits you best. Most traders usually choose between becoming positional traders or day traders. The latter use short-term Forex trading strategies to catch the market moves within a day. The main idea behind day trading is to benefit from intra-day volatility and to avoid swap payments. While it's ultimately up to you to choose a currency trading strategy, learning how to trade Forex short-term may offer you some great insight. What is Short-term Forex Trading? As the name suggests, short-term trading means making trades over a short period of time. Though it may sometimes take several days, short term trading usually involves holding a position for no longer than a single day. Many believe that short term trading completely removes the risks, and minimises the trader's exposure to losses. This is of course, untrue, as risks are always prevalent in trading, and losses are inevitable. While neither short or long term trading is 100% risk-free, the former does involve smaller risks. Because of this, short term currency trading is popular with beginners who aren't confident in their ability to manage risks. However, these smaller risks come with demanding requirements. Of all the trading types, short term trading is the most likely to test your agility, focus, and reflexes. When trading Forex short term, you have to employ both technical analysis and fundamental analysis. Evaluating trading instruments by analysing their price history, with charting tools to identify patterns. Aiming to predict price movements. It is news-based and focuses on factors affecting the economy such as employment, GDP, inflation, and interest rates. Learning to use technical and fundamental analysis is essential, no matter which short term Forex strategies you eventually use. While there is no definitive answer to what the best short term Forex trading strategy is, the most widely used is scalping. Source: EURUSD Hourly Chart with a Stochastic - Data Range: 13 Apr, 2016 - 22 Apr, 2016 - Please Note: Past performance does not indicate future results, nor is it a reliable indicator of future performance. First off, scalping is a test of your character. 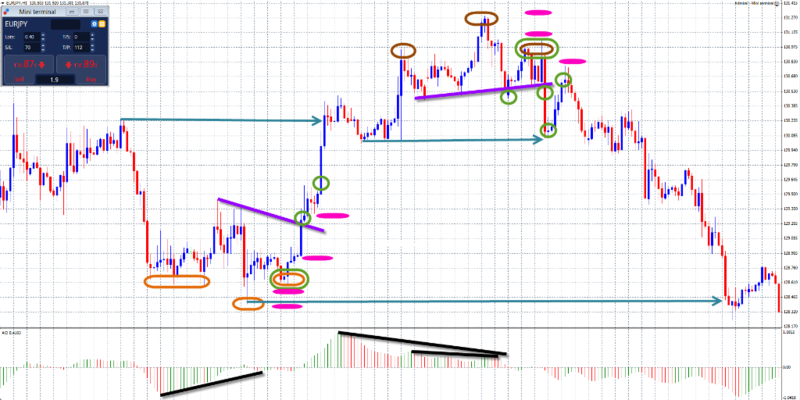 This short term Forex strategy demands long sitting sessions, and intense concentration. The hours spent sitting may have a negative impact on reflexes, but for a professional scalper, losing focus means losing potential profit. When you use a scalping strategy, you place multiple orders and remain in trades for a few seconds, and then leave the position as soon as you gain a few pips. While the profit from scalping may seem small, so are the potential losses. Usually, scalpers use either one-minute (M1) or five-minute (M5) charts. Within this time frame, you can expect to generate two to five pips of losses and five to nine pips of profit. With high enough transaction volume and time, these few pips add up. When you're scalping, you need to keep an eye on the latest economic news to correctly predict the next increase in the market's volatility. You have to get used to fast-paced trades and taking action on the fly. If you would like to keep track of all the upcoming economic announcements, why not check out our Forex calendar? ECN and STP executions are instant. Both also charge a very small commission for trading. For example, Admiral Markets can supply you with a STP execution account. Second on your priority radar should be the spread. The spread is the difference between an asset's bid and ask price. It does not remain the same throughout the day, and will constantly keep changing. If you want to become a professional scalper, you need to learn to use the spread to your advantage. The higher the price you have to pay, the more pips you need to gain in order to make profit. How successful your short term currency trading is will depend on the volume of your transactions. Speed is what matters, which is why a currency pair with low volatility can put your efforts to a grinding halt. Let's say that you chose a major currency pair like the EUR/USD. You have to remember that even though Forex markets are trading almost around the clock, the volume of transactions is not consistent. It usually picks up when the major Forex centers open. Now, here comes the basic math of trading: the average made on one pip for trading one lot is 10 USD. If your broker asks for a three-pip spread, that would put you at a 30 USD loss right away. When you purchase an asset and the market has not moved yet, you can only get rid of the asset for the lower price. In short, you need the price to move up three pips to break even. If you are looking for a five-pip gain per trade, you would actually have to go up 8 pips from your starting price. That's why you want to scalp pairs where the spread is small. For example, Admiral Markets offers competitive spreads ranging from 0.1 pips upwards. This way, you can plan out your short term currency trading strategies without worrying too much about the cost of trading. Instead, you can focus on staying alert and being able to open/close positions within a few seconds. A common pitfall in short term trading is to avoid closing positions, because you are expecting them to improve. While this may happen in theory, in reality this behaviour is the fastest way to drain your account. Instead of closing positions manually, you can set up a stop-loss. A stop-loss sets a specific level for your position, and automatically closes it when the exchange rate reaches that level. A stop-loss is a defensive mechanism, that limits your losses and minimises your risks. For example, if you are trading EUR/USD at 1.1500 and you set a stop-loss at 1.1490, the trade then closes as soon as the bid price falls to this level. It's important to remember that scalping may not be the best short term Forex trading strategy thats works for you, as it requires a lot of time and attention within the day. But that doesn't mean you can't get value out of it. Short term Forex trading is generally very educational, and a good way to kick-start your trading career. 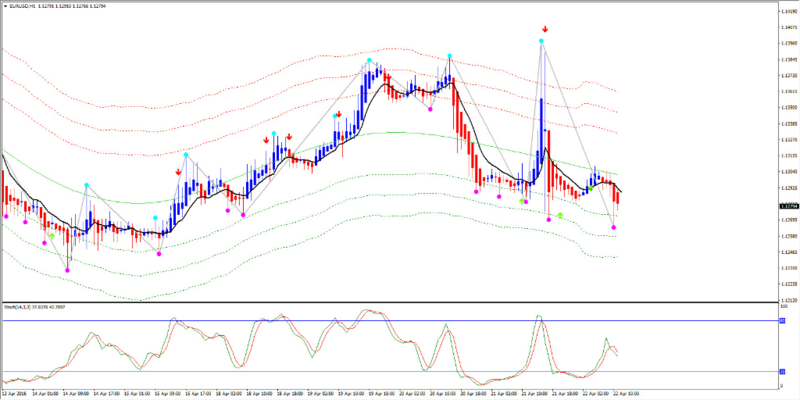 It can provide a good overview of indicators and signals, and it can also teach you how to act fast. However, you should make sure you go at your own pace and test everything you know on a demo account first, before transitioning to a live account. With a demo account, the temptation might be to trade in high volumes right away. In fact, the first mistake many beginner traders make is to consider their demo trading losses as unimportant. Aside from helping you to develop a short term currency trading strategy, demo trading can also help you to answer the questions you might not have asked otherwise. For instance: How well do you handle losses? How quick are you on your feet? What do you do when you have to make a judgement call? The takeaway here is simple - treat demo trading as you would live trading. 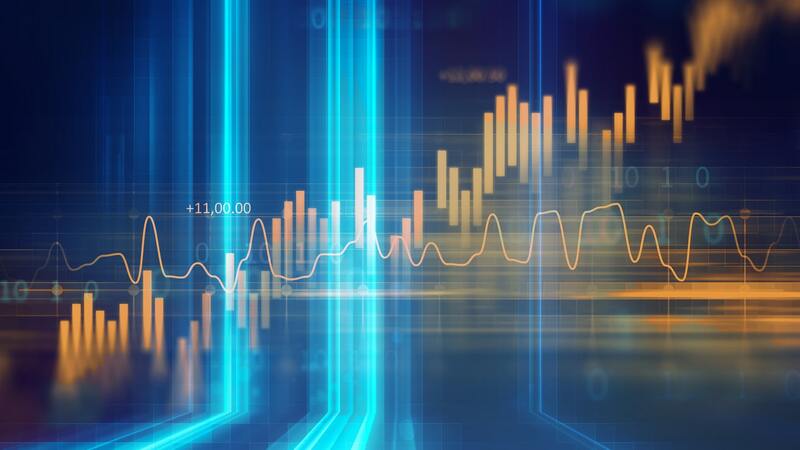 Even when you feel comfortable enough to venture out on your own, demo trading may prove valuable in coming up with new Forex trading strategies, and then testing them out before you use them with your own capital.